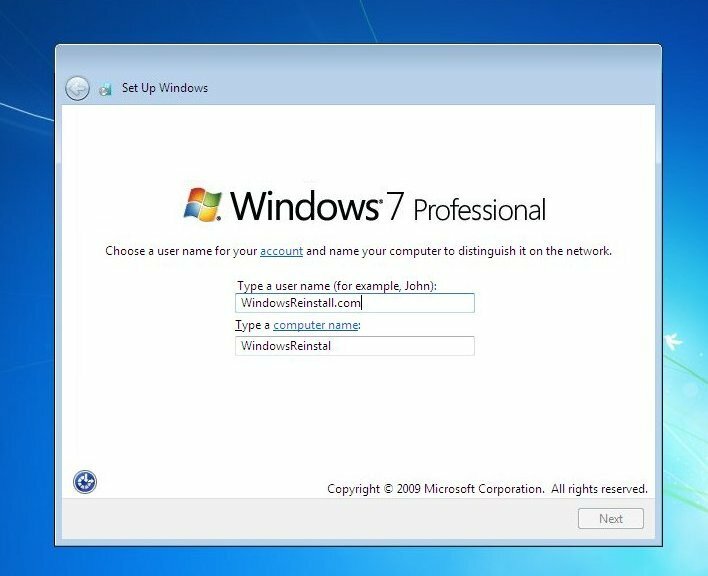 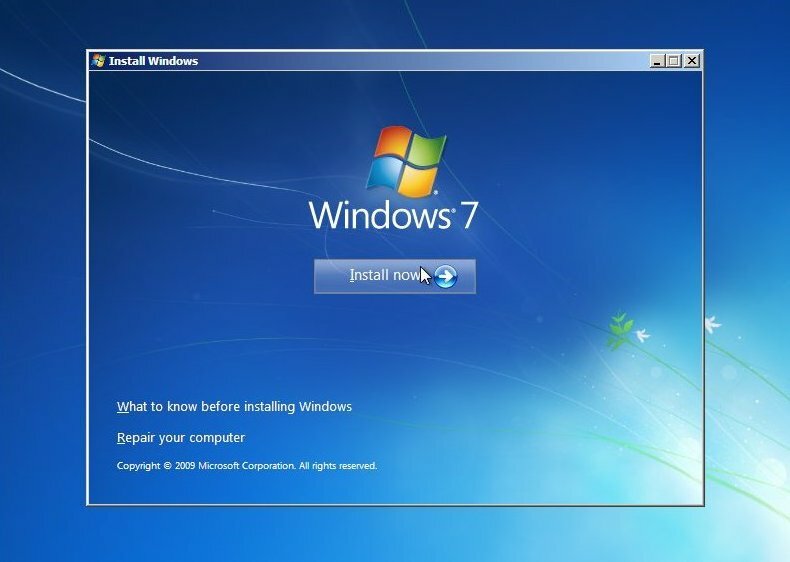 Windows 7 Reinstall Guides: A reinstall guide is the replacement of an already present operating system. So if you wish to format your hard drive and put Windows 7 onto this drive then the reinstall guide is for you. 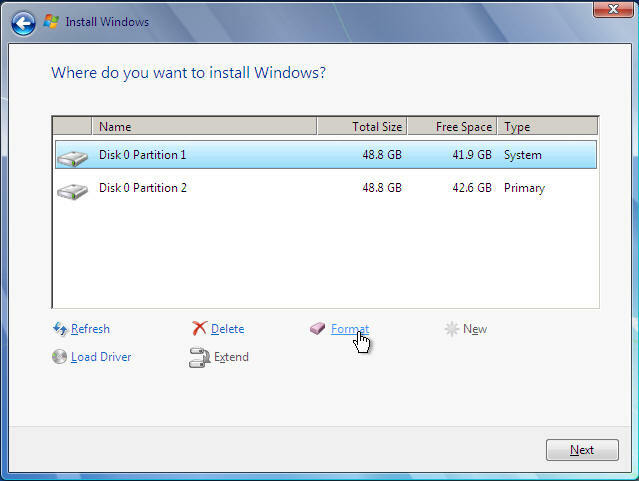 Same as a clean install but with the removal all traces of the previous operating system. 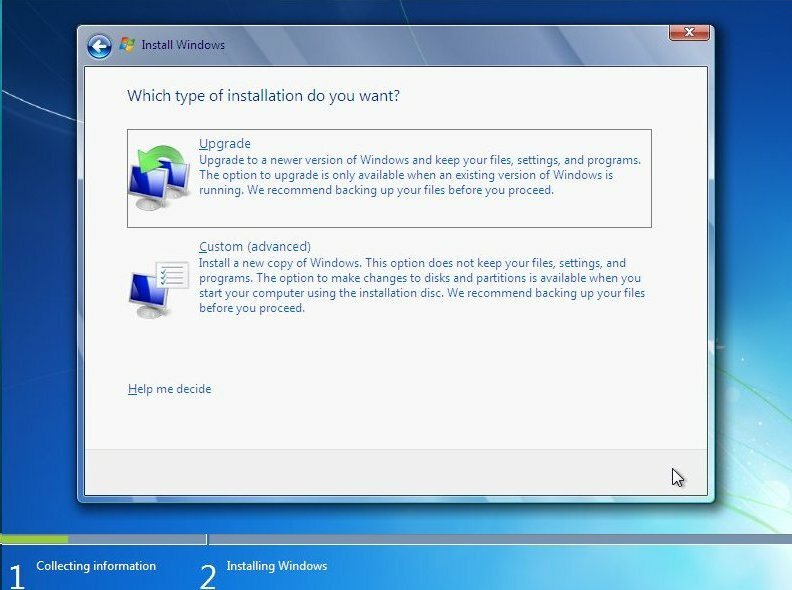 You can use this guide also for replacing an older Windows with new. 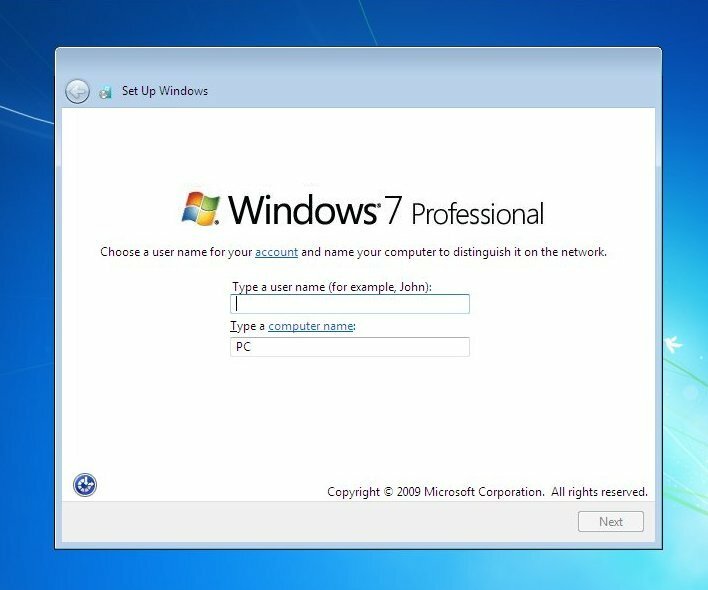 Lets say you have XP , and now wish to replace this with Windows 7 using the same hard drive, then these guides are for you. The reinstalling Windows Help on this site is probably why most people come here. 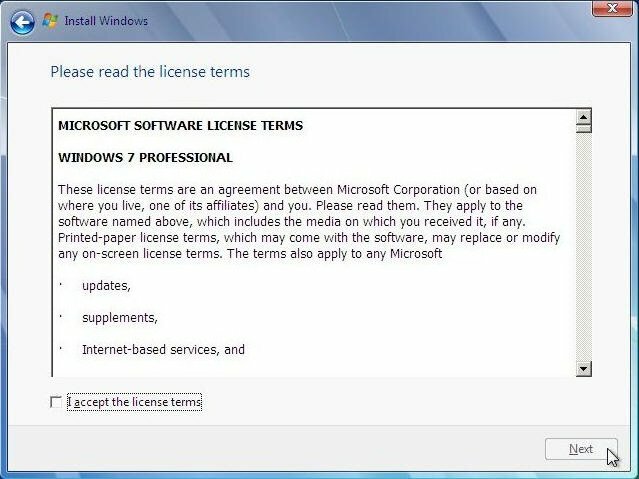 This is a reinstall of windows with format either of Windows 7 or from an older Operating System, it should be trouble free of errors and problems as long as your system fits the minimum specs as laid down by Microsoft and does not have an incompatibility or hardware faults. Time of reinstall will vary from 20 mins to 2/3 hours depending on the speed of your hardware. If your hard drive is not seen during the reinstall then you will require SATA/RAID drivers from the PC manufacturer or motherboard manufacturer. 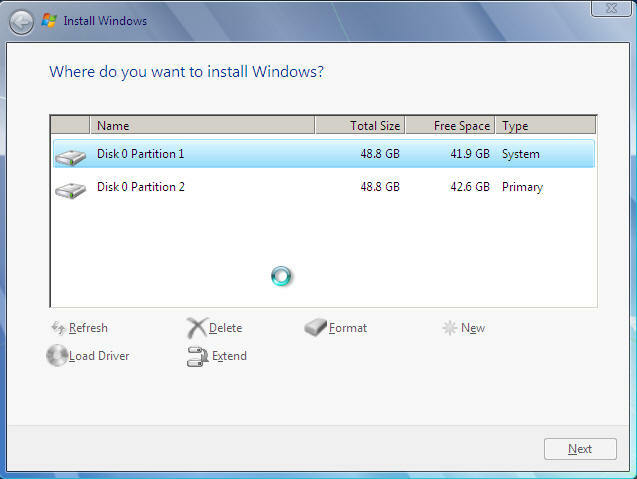 See our other guides for "No Hard Drive" reinstalls. 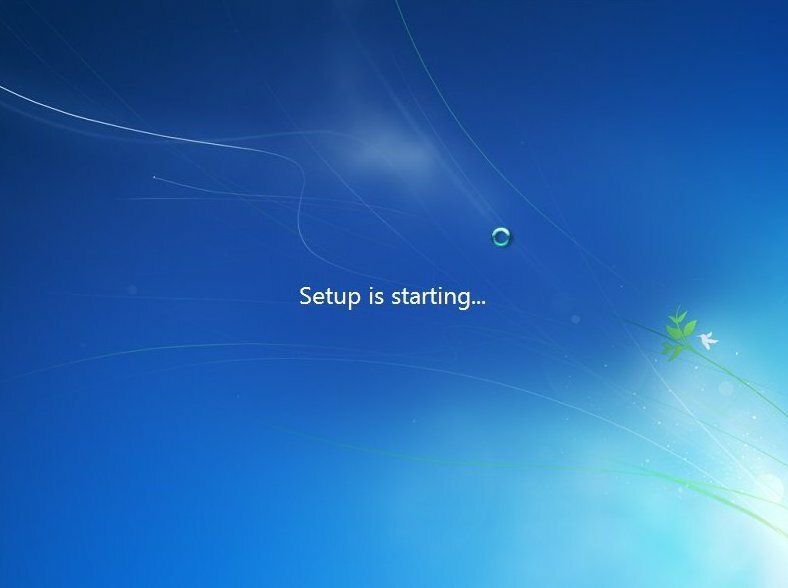 To start this Windows install insert the CD/DVD and boot/reboot your computer, it should automatically begin to run. 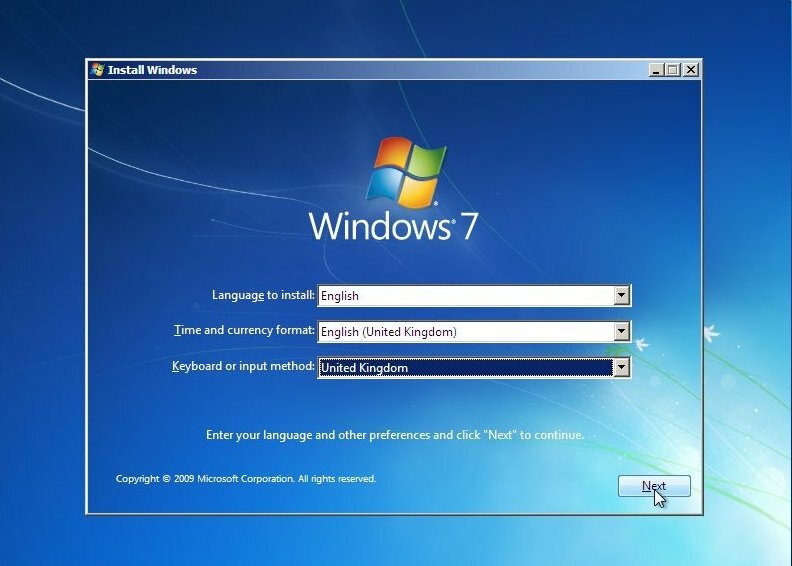 If not then make sure the drive is set to first boot in the BIOS, see this Windows 7 BIOS guide for more info. 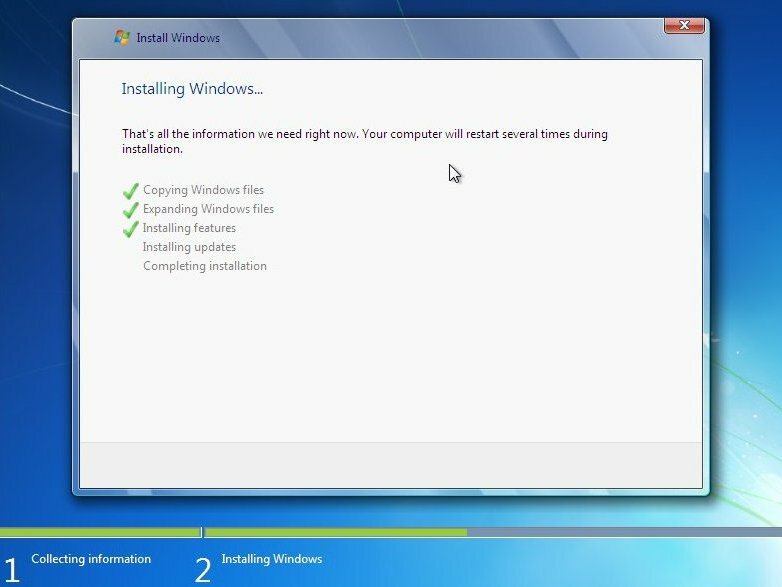 A common piece of hardware to cause reinstall errors is "Memory", your reinstall CD has "Memory diagnostics", run this from the "7" disk to rule it out or replace as needed. 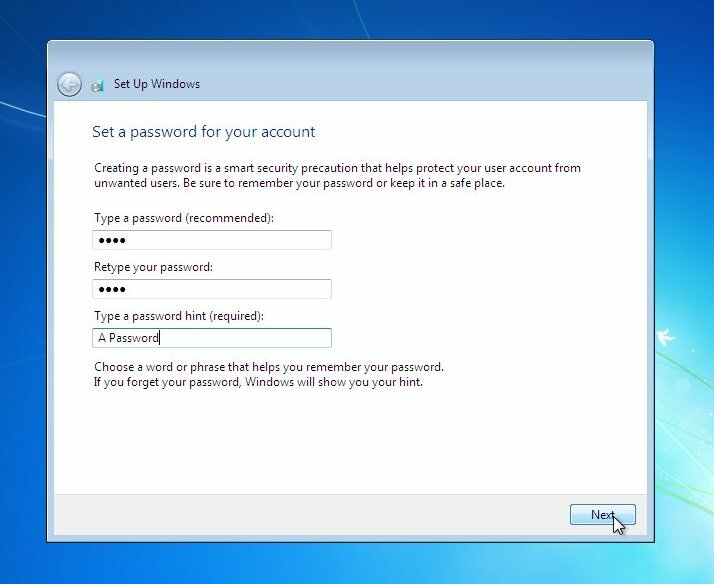 Your Computer will post (These screens will vary from manufacturer images to the text shown below). Windows 7 Professional DVD/CD will begin to load, this may take sometime. Windows 7 will now start the reinstall procedure. 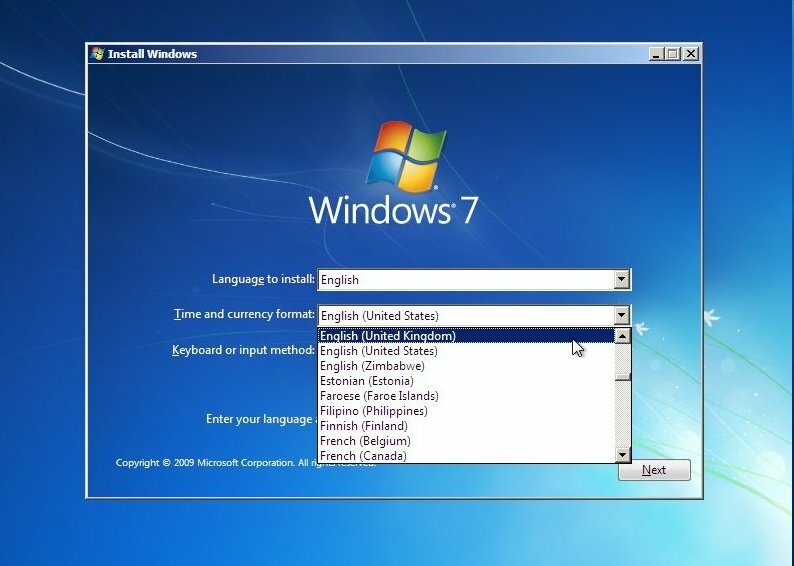 Next set your Keyboard Language. 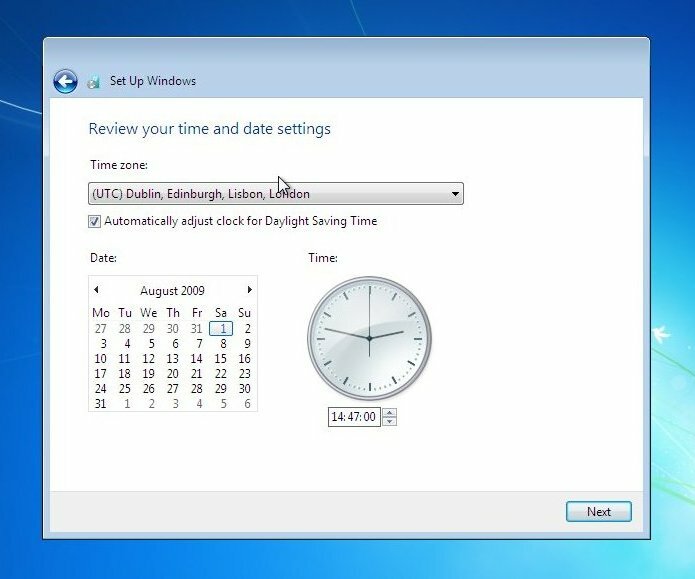 This may have changed correctly when "Time and Currency" option was selected, if not change as needed. 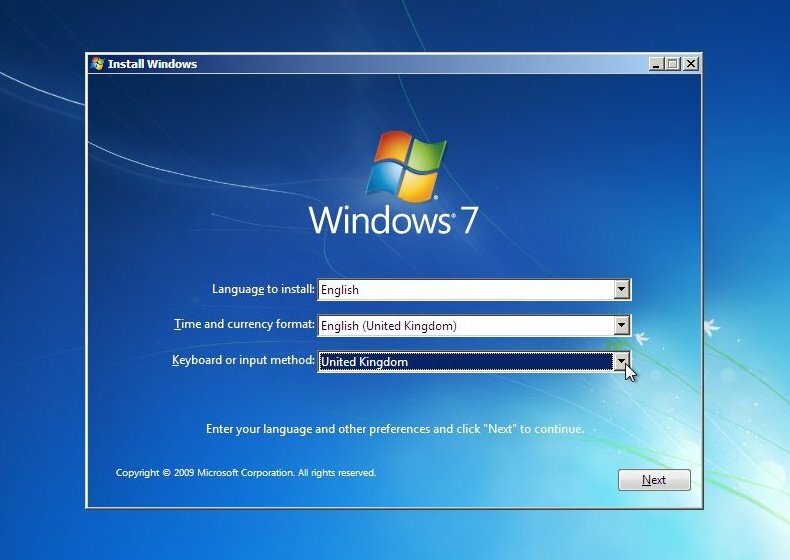 Click "Next£ to continue. 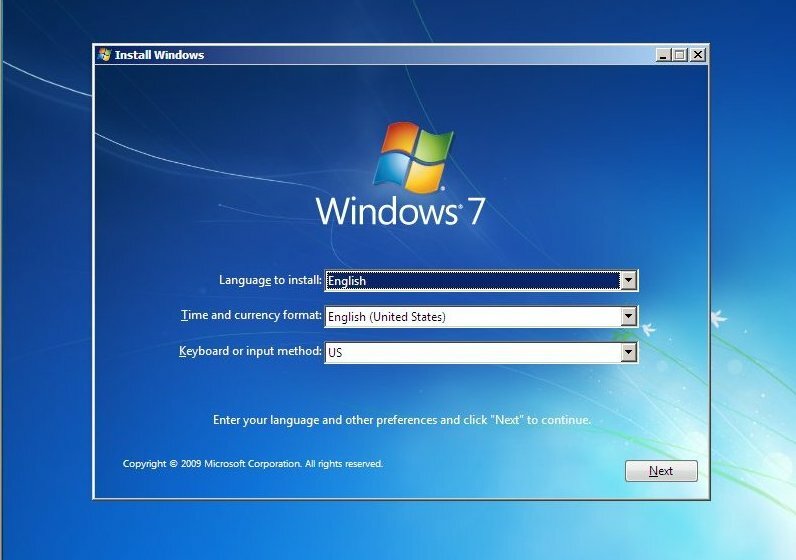 Your Keyboard input method will change to the most common used under the "Time and currency" selected, you can change this now if need be. 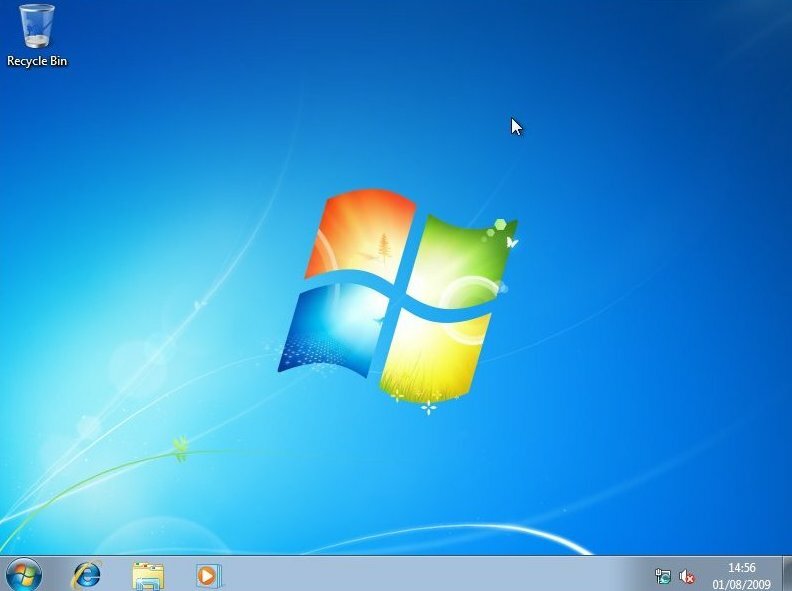 Now the "Reinstall Windows 7" screen will appear, Click on "reinstall now" to continue and begin the reinstall of Windows. 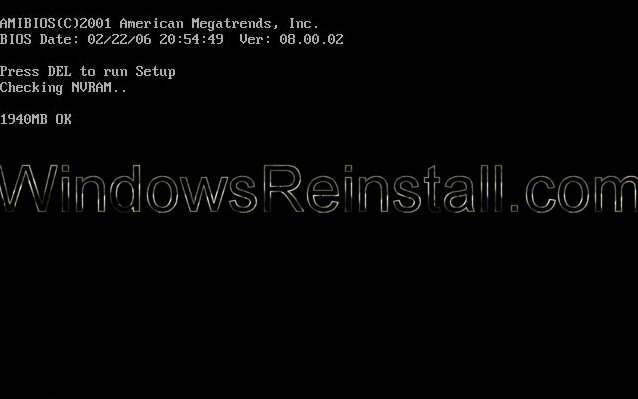 This is were "Part1" of the reinstall officially starts.. You will now see the bar pictured below at the bottom of the screen. 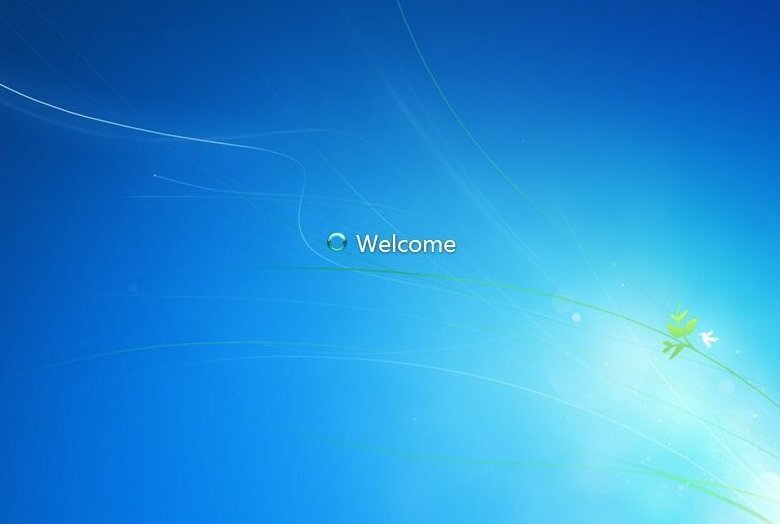 It has no relevance to "Time" in general. 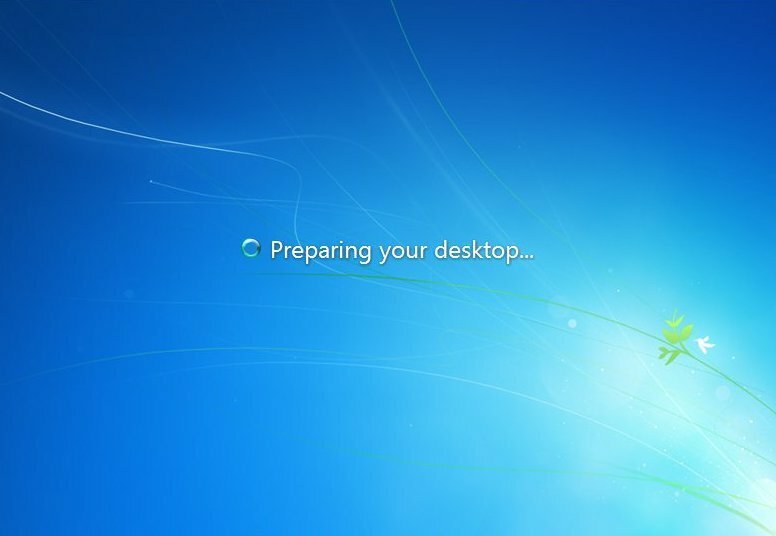 It moves fast sometimes, slow other times, If you insist on watching it then don't be worried if it stays in any particular spot for long periods of time. Now the "Type of installation". Click on "Custom (Advanced) to continue the reinstall..
Drive Options Menu: Now click on "Format"
Drive Options Menu: You will get a warning that all data will be lost, as it will, only continue if you are happy with any backup you have done. 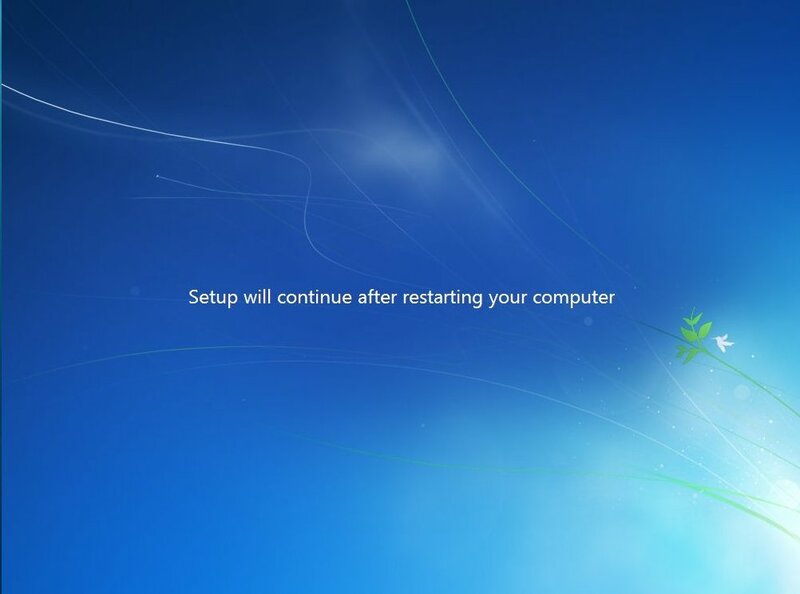 Click "OK" to continue. 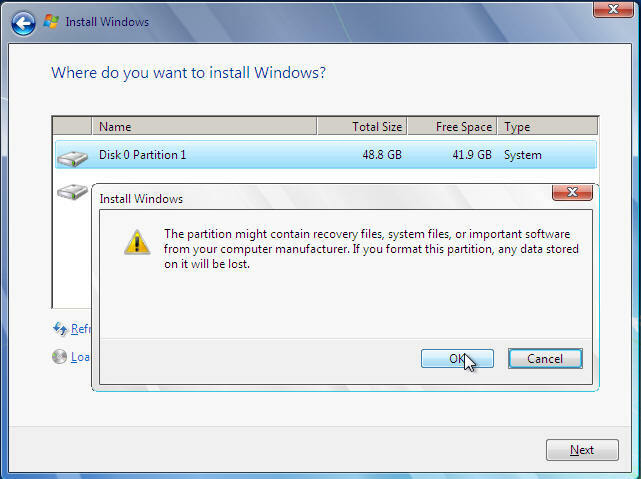 NOTE: Remember Windows 7 needs 16GB of space to operate in. 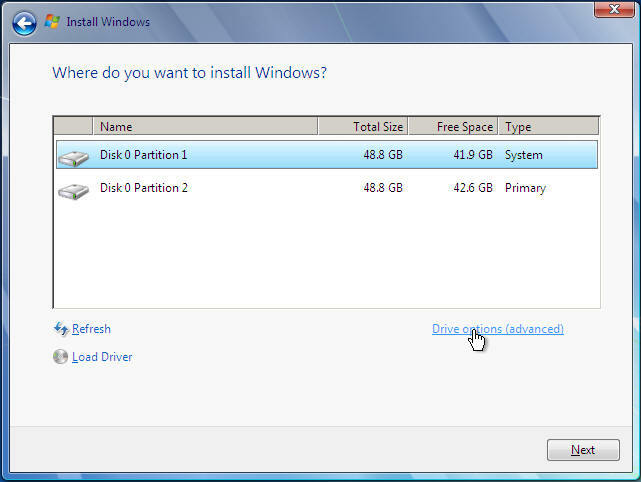 Drive Options Menu: Windows will now format. 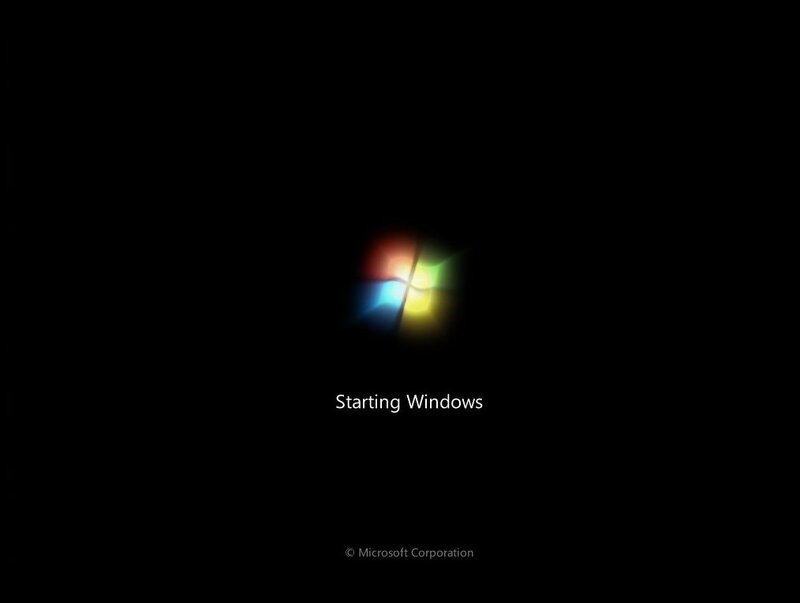 Same as above, do not press a key as reinstallation will begin again, requiring you to reboot to get back to this screen. 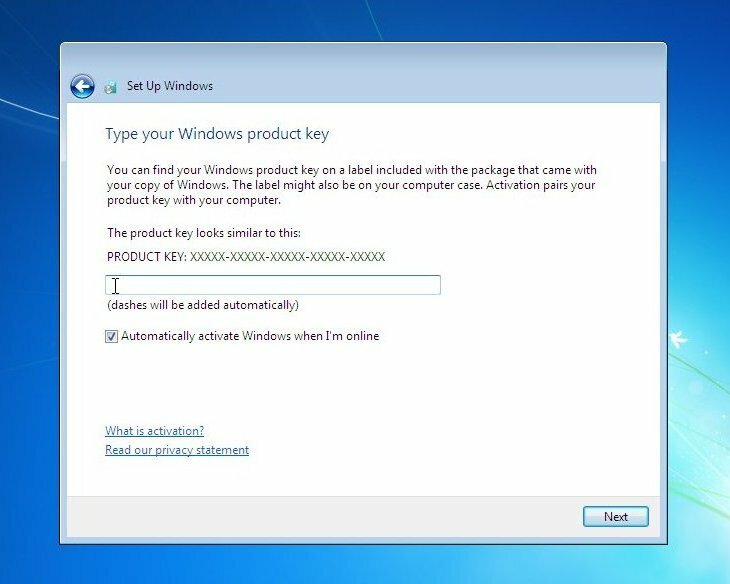 You will now need your Windows "Product Key". 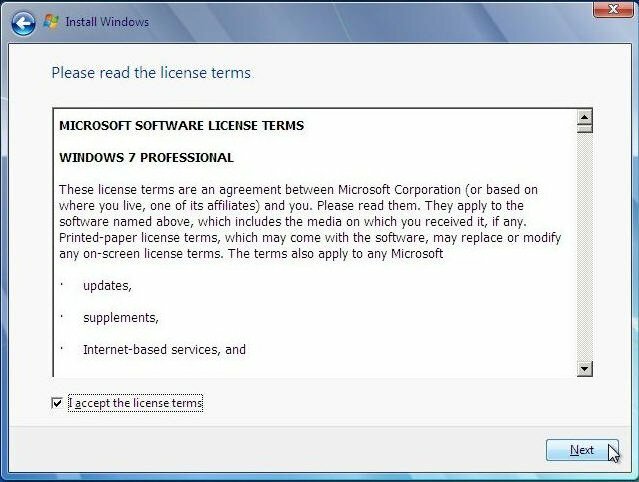 This will be on the disk packaging provided with your CD's/DVD's, or from Microsoft's website just before downloading. 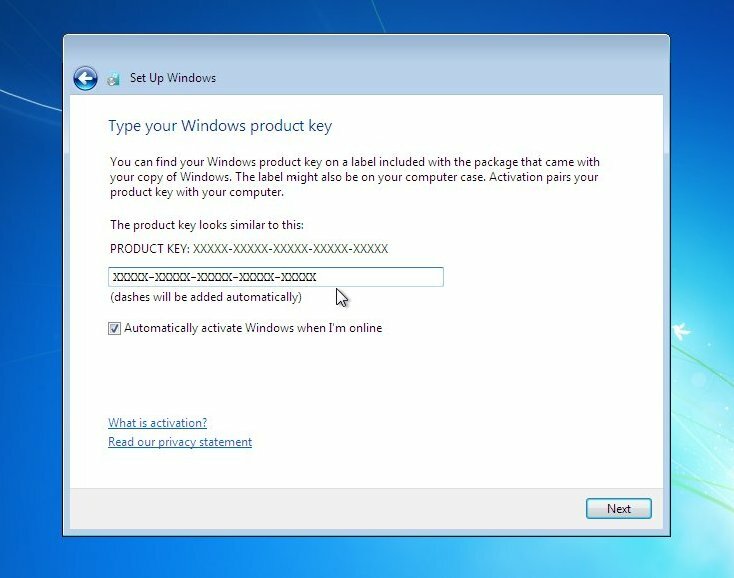 The product key will be 25 digits long and will contain letters and numbers. Input key (Dashes will be added automatically), "Automatically activate Windows when online" option is selected by default, deselect if you wish, and then click next to continue. 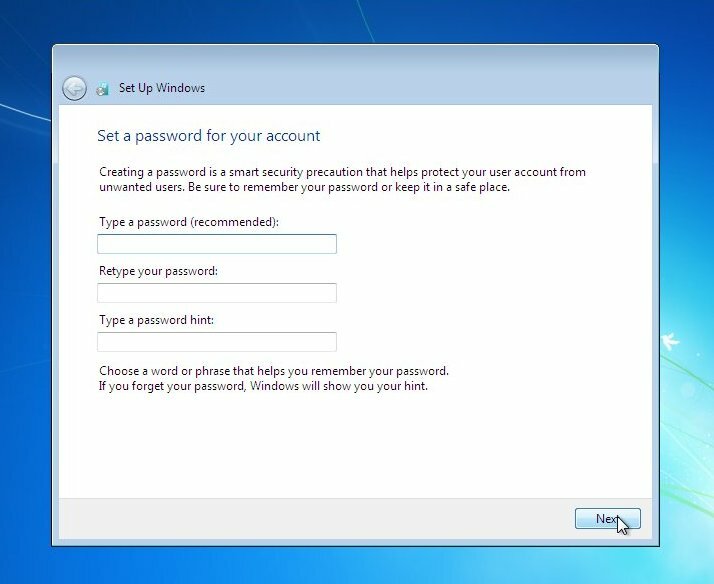 Now the built in Windows protection modes. 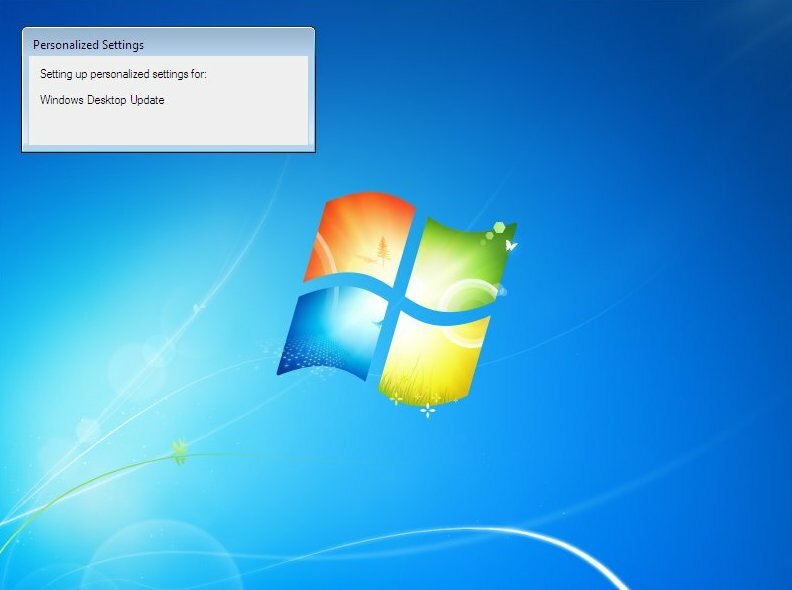 We would recommend the top option "Use Recommended settings", this will enable updates to be downloaded and reinstalled, click on your selection too continue. 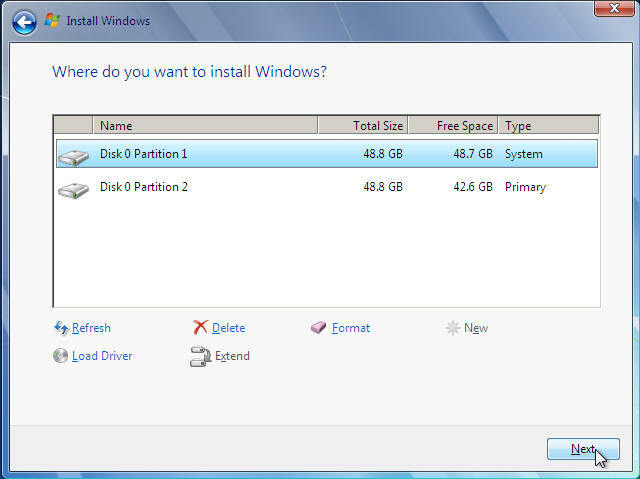 If you are lucky you will have no drivers to reinstall, but chances are the next step will be to reinstall them. 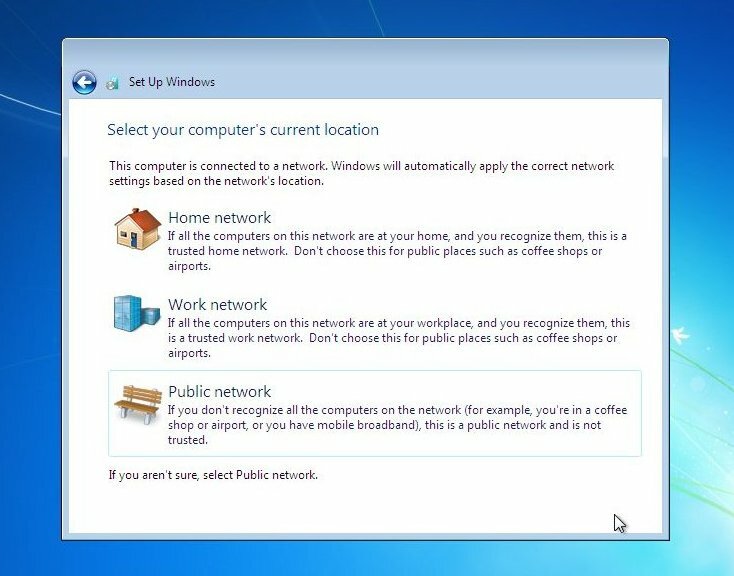 Check out device manager for unknown devices, likely items are Network Cards, Sound Cards, Printers, Scanners, Graphics Cards, Digital Cameras, etc. 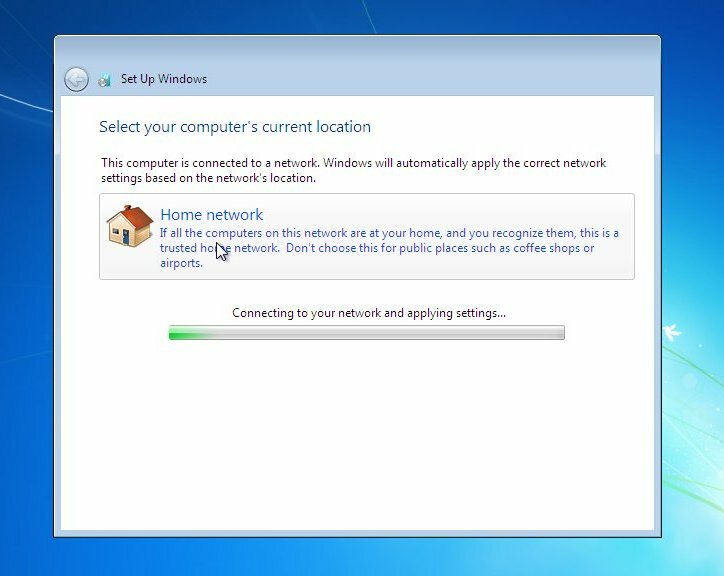 Also reinstalling anti-virus software, spyware software and possibly a 3rd party Firewall are a must for any computer.